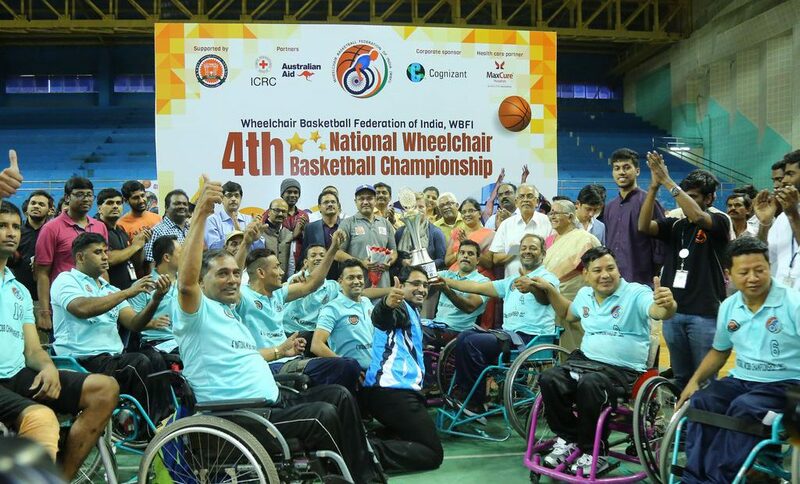 The atmosphere at the finals of the National Wheelchair Basketball Championship in Hyderabad was electrifying as Maharashtra and Tamil Nadu lifted the winners’ trophies in the men’s and women’s categories. 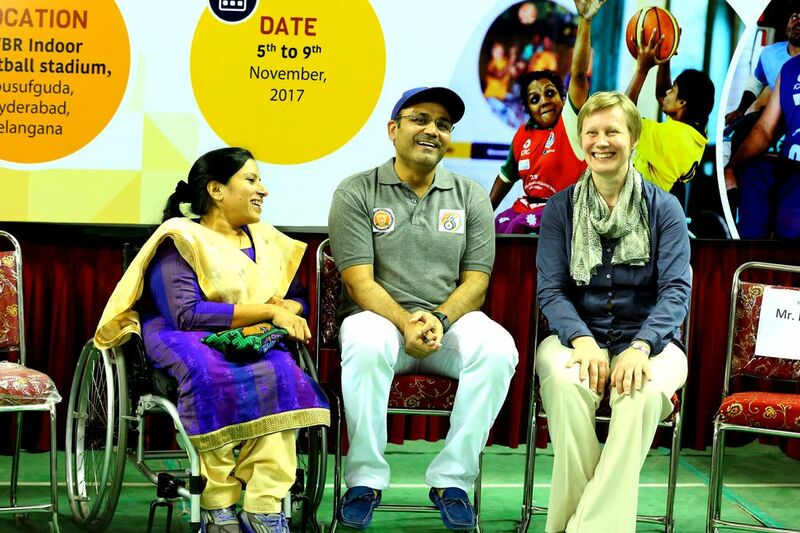 Legendary cricketer Virender Sehwag watched the grand finale on 9 November 2017 along with scores of basketball enthusiasts in the stadium and boosted the morale of players who had come to participate from across the country. 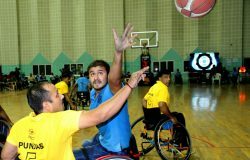 Sehwag said he was thrilled to watch the national championship finals. 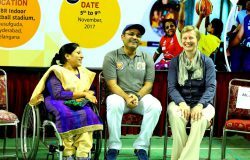 “It is our duty to encourage these sportspersons. 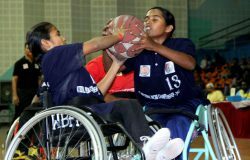 If we do that I think they have very good talent so they can win in Paralympics and bring the medals. 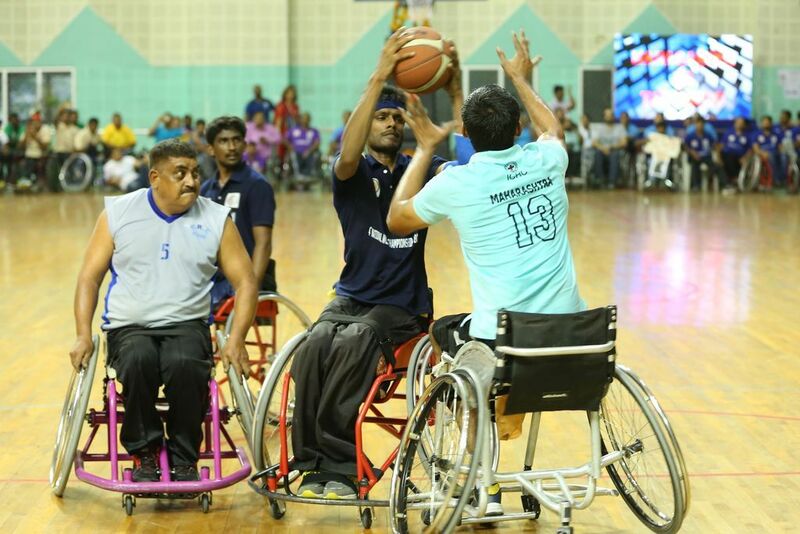 And it counts,” he said. 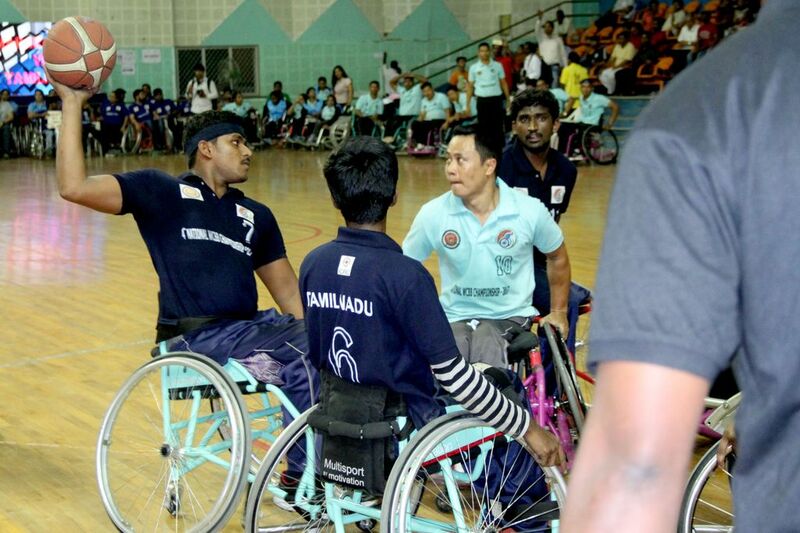 While the men’s team from Tamil Nadu was in great form and defeated Punjab to reach the finals for the first time, Maharashtra was the favourite from the beginning as the team has successfully retained the title since 2014 when the first national championship was held. 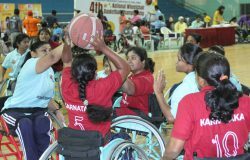 In the women’s category, Tamil Nadu faced stiff competition from first-time finalists Kerala. 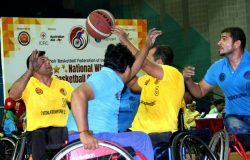 This was the first time more than 200 wheelchair basketball players — men and women — from across the country participated at the national level. 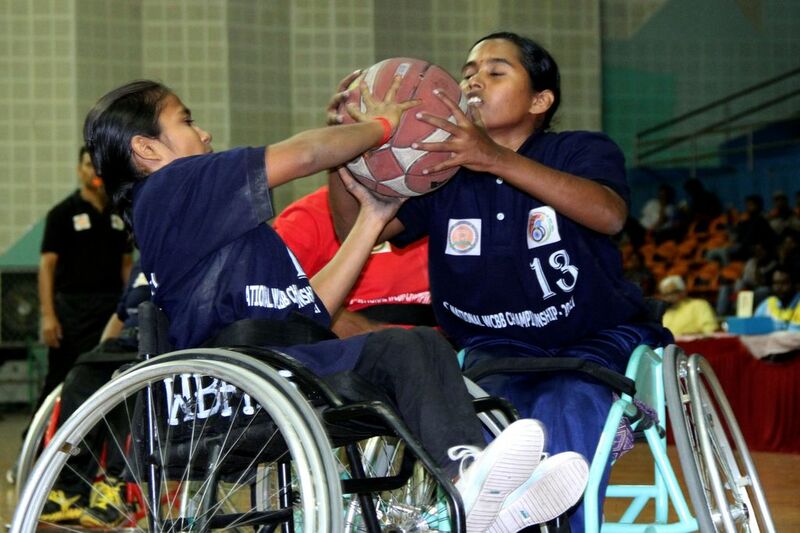 Women’s teams from J&K, Odisha and Chhattisgarh took part for the first time. 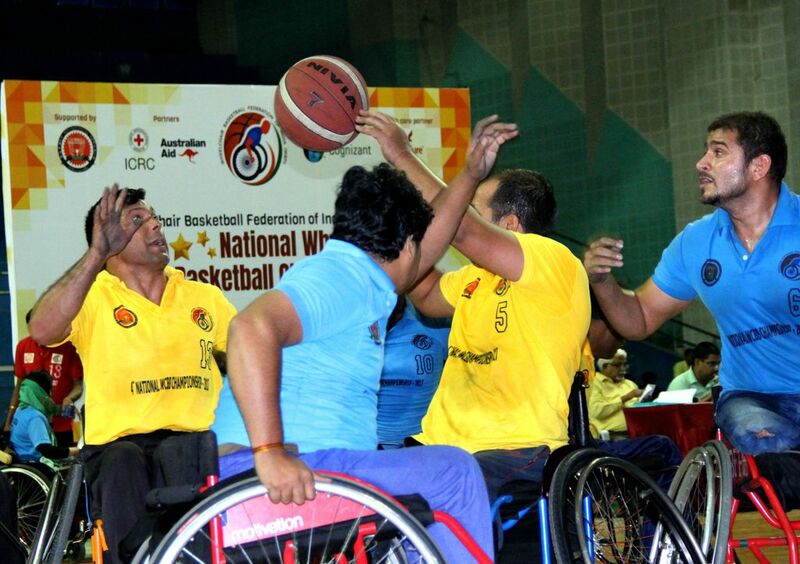 The men’s teams from Odisha, Chhattisgarh, Bihar and Rajasthan also made their debut this year. 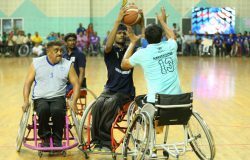 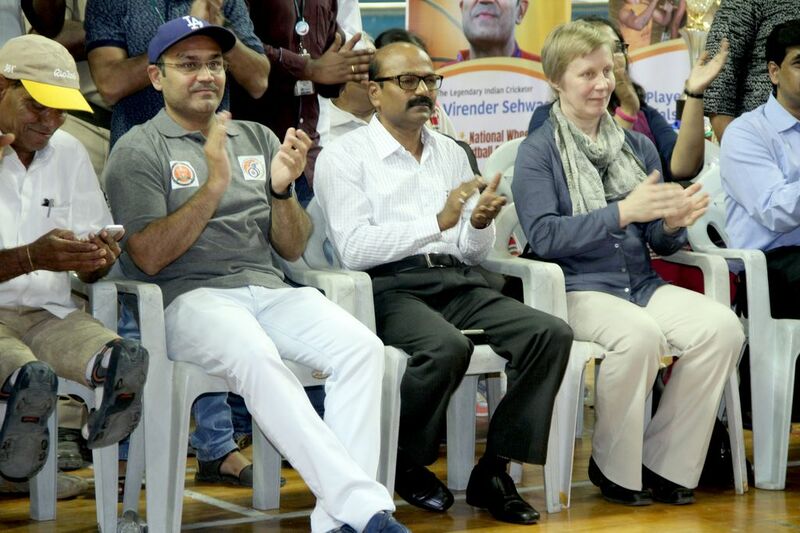 The national championship was organised by the Wheelchair Basketball Federation of India, along with the International Committee of the Red Cross, Australian Aid, the Sports Authority of Telangana State and Cognizant. Every year, the players have not only raised the bar in the game, they have successfully overcome social and cultural barriers. 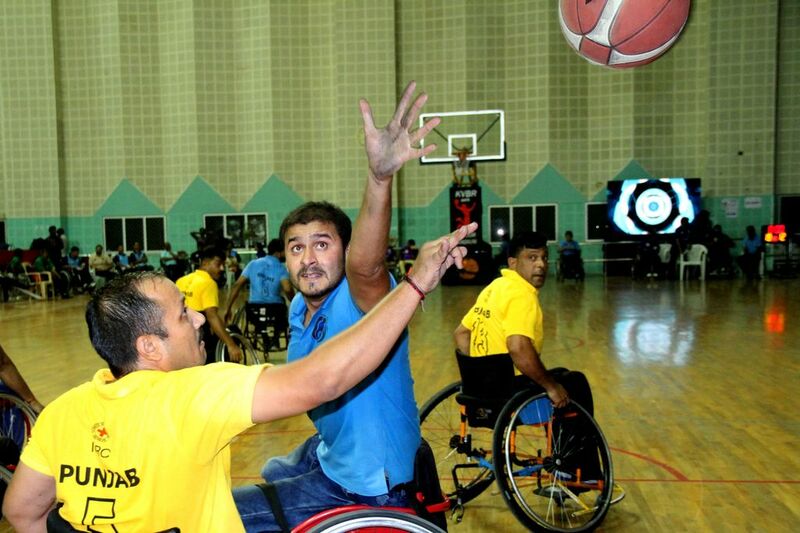 The game of wheelchair basketball has been a catalyst in bringing about their social reintegration and they are now inpiring many more persons with disabilities to join.